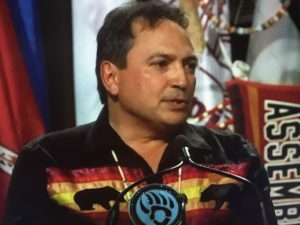 (Ottawa, ON) – The Assembly of First Nations (AFN) has been granted intervenor status in the B.C. government’s reference case at the B.C. Court of Appeal regarding the Trans Mountain Pipeline expansion project. In April, the B.C. government provided draft legislation to the provincial Court of Appeal asking it to rule whether the province has the authority to regulate and place restrictions on companies that move diluted bitumen through the province. The province is specifically asking if the proposed law is within B.C.’s jurisdiction; if it can apply to substances transported from another province; and if any existing federal law invalidates the regulations. The AFN has participated and intervened in many judicial proceedings that raise issues of Indigenous and Treaty rights and other constitutional issues facing First Nations. The AFN, for example, was an intervenor in the court case that led to the landmark Tsilhqot’in decision. The AFN utilizes all avenues to ensure rights, justice and fairness for First Nations are upheld. The AFN pursued for more than a decade its complaint against Canada at the Canadian Human Rights Tribunal for the federal government’s unfair treatment of First Nations children in the child welfare system. The B.C. reference case – Proposed Amendments to the Environmental Act – is expected to begin in March, 2019. The AFN received notice of its intervenor status in June of this year.